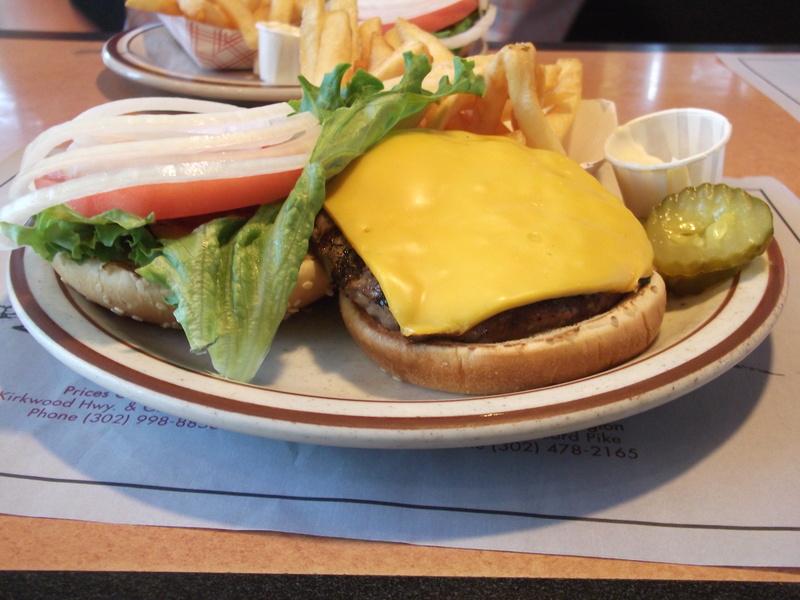 George Motz was right… this Charcoal Pit burger is awesome! Dad drove up to Delaware so that I could visit the Charcoal Pit. There are two locations in the Wilmington area. We went to the one off Kirkwood Highway (Delaware Route 2, the Newark-Wilmington road). We will visit the other location on Concord Pike another day. I ordered the 4oz (quarter pound) Pit Burger. That’s a char-grilled burger with cheese, lettuce and tomato… and a side order of fries. There were also pickles and white onion on the plate to add if you wanted them. 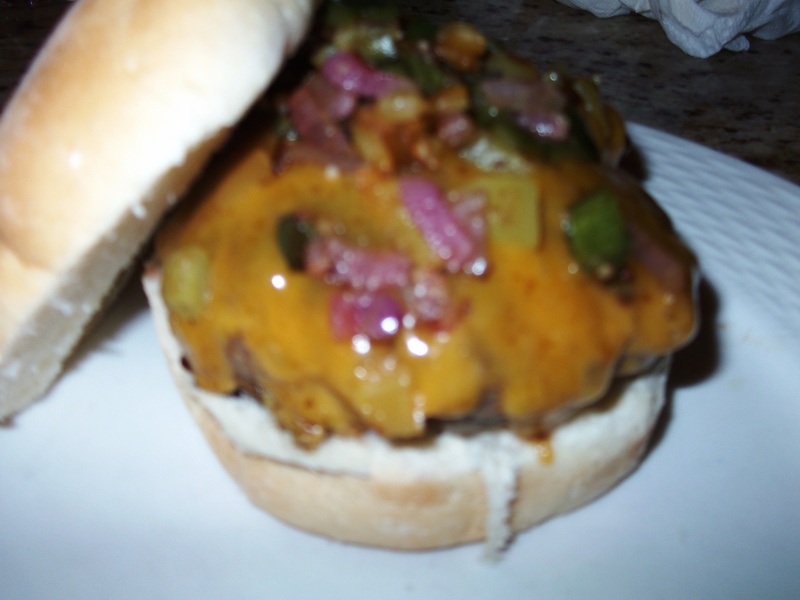 There was a lot of good, hearty flavor in the burger. The char-grilled flavor was really, really good. It was one of the best burger patties I have eaten. The Charcoal Pit is one of the only burger restaurants within driving distance of my house that George Motz recommends. It is easy to see why. The burger patty was good. The vegetables were crisp and fresh. I even added the onions because they were nice and sweet. I passed on the pickles (but Dad ate them all) and I passed on the tub of mayonnaise (neither of us touched that!). I award this burger a score of 8.5 out of 10. It was REALLY good. Remember, 8.5 is a high score for me. The highest score I have ever given is 9.5 out of 10. 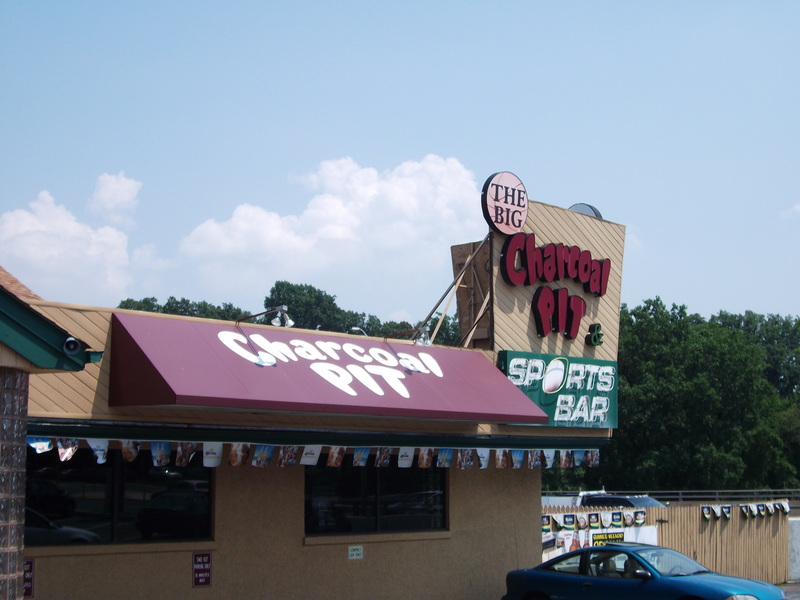 If you are in driving distance of Wilmington then you need to visit the Charcoal Pit. Next time we will go to the other location on Concord Pike and we’ll take Mom with us.